Retail and Consumer Products are most relevant to our daily lives. Everywhere we shop (online or offline), consume or use, we have the tireless efforts of our logistics people. Learn how oTMS helps make retail and consumer logistics easier! 1. Mature industry focused on efficient supply chain with relatively standardized packaging & processes are good foundation for digitization. 2. Fast paced, rapidly evolving consumer buying behavior, emergence of new distribution channels, puts a lot of pressure on supply chain that need to deal with smaller and more frequent orders and deliver to wider areas at lower cost. Fast response and execution sets winners apart from the rest in this highly competitive industry. 3. Large business volume. Based on the huge consumer population, the volume of retail and consumer goods has always accounted for a large share of the Chinese goods market. 4. Agile supply chain is gradually popular. The replenishment frequency is increasing and cargo volume of each order is decreasing. Connect brand, OEM, agent, stores, warehouses, carriers and drivers on the same cloud-based platform to manage your shipments. Accessible via browsers, APPs, WeChat and APIs to other systems. You can achieve online efficient carrier management, freight billing and payments management and business intelligent. Covers order dispatch to express carriers, track & trace information intake, exception pre-alert and management and finally KPI and carrier billing management. Up to averagely 2000 orders processed per min, it is proven as high performance, high concurrency and high stability in real practice, and has been trusted by the largest fashion brands in China. Say goodbye to paper documents. Full digitization! Experiencing green logistics! Save time, eliminate errors and effort! Procurement, management and payment through technology platform; By reducing the number of middlemen, transport collaboration, replacing labor with intelligent robots, you can greatly reduce shipping cost, and the same time, strengthen the control of drivers to further ensure the strict implementation of SOPs. Covering all parties with attractive single insurance policy made possible by oneTMS data! Double the protection with lower premium! Best practice for fashion warehouse. Boost your dock efficiency and avoid waiting for both DC staff and drivers. In addition to system tools, oTMS creates greater value by providing comprehensive promotional services tailored to meet different needs. Panasonic realizes real-time data sharing with 16 partnering third-party logistics companies. 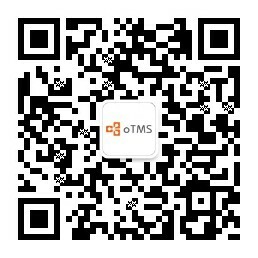 By incorporating a solution from oTMS, Jzez100.com has taken a major step forward towards achieving informatization. Leave your information to discuss your requests with our consultants!